Want to be a part of the best Camp on the planet? 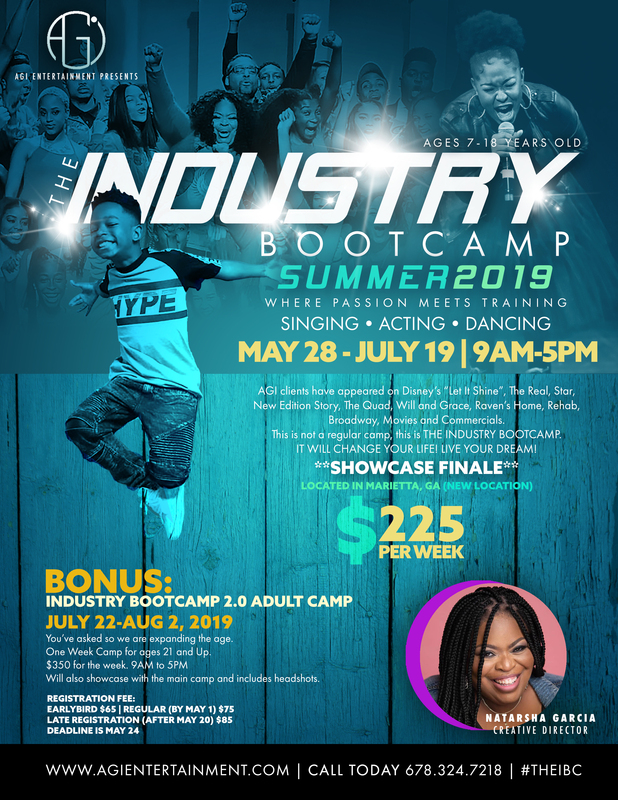 The IBC (Industry Boot Camp) is the top performing arts experience of a lifetime! 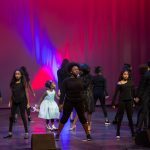 Under the direction of our Artistic Director, Natarsha Garcia, you will get the BEST singing, dancing and acting training in the nation. Our experienced instructors work in the business, so Campers will get relevant insight, in order to accelerate as a Singer, Dancer and Actor. There’s more! Campers will experience Industry VIP’s visiting AGI at any given time, in order to get real time feedback. Campers will also perform in front of Atlanta’s Top industry professionals in our Showcase Finale! Times: Monday’s-Friday’s from 9:00 am-5:00 pm | Early Drop Off (8:30am) & Late Pick Up (6:00pm) available for $25 additional, per week. You have the option to pay in full and receive 5% off: Normally $1,800 | 5% Discount: $1,710 for 1 camper. Discounts available for additional campers within family: 10% off for second camper, 15% off for third camper. Call our office directly to receive discounts. 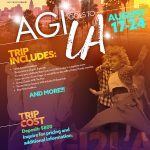 *If AGI Entertainment Provides Opportunity during camp that student books a job, then we reserve the right to receive 10%.